Tags: bracelet, brass, cuff, dream big, gold, Inspirational, silver. 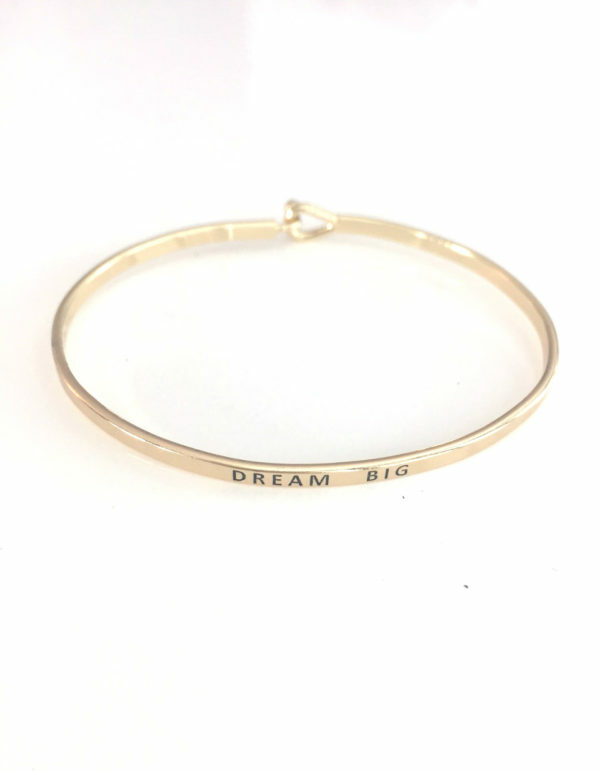 The engraved “Dream Big” message reminds us not to be afraid to set goals or pursue a purpose to make our lives fuller, happier and more meaningful. 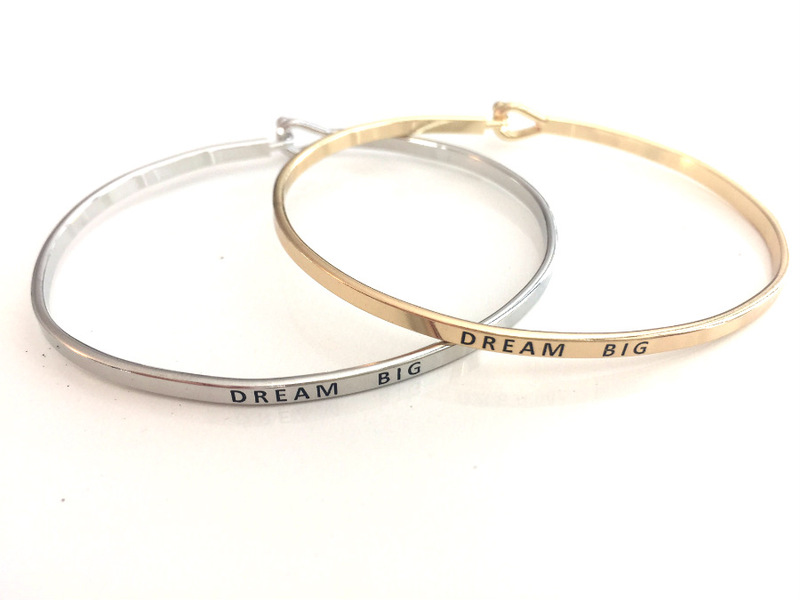 Available in silver or gold toned metal, one size fits all.